The phase of maternity is the most satisfying and memorable time in life of a woman. One of the common complaint that women may have in this phase is to see their body struggling to keep up the uneven growth of skin all over. When skin is stretched to its limit, stretch marks start showing up and may get deeper with time. Not only pregnancy is the only cause of stretch marks, these marks may appear if your body weight fluctuates too much. To find an effective treatment with natural and organic ingredients is pure bliss. MamaEarth body crème for stretch marks & scars is one of the impressive products in the line that does wonders to fade away these undesirable marks. 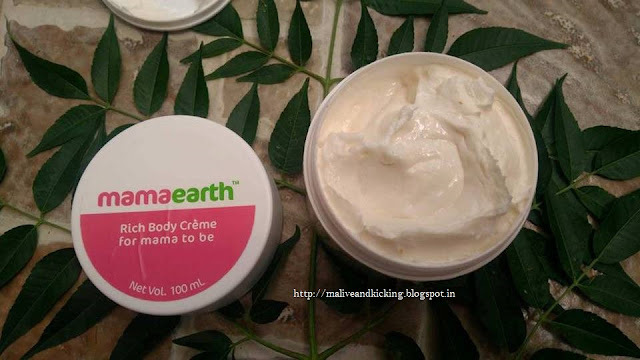 This cream is a rich blend of exclusive emollients namely Shea Butter, Cocoa butter, Virgin Coconut Oil, Grapeseed Oil, Sweet Almond Oil, Avocado Oil, Extra Virgin Olive Oil, Wheatgerm Oil. Isn't the list long enough? Well! these ingredients directly impact to strengthen and rebuild the skin barrier while keeping the skin supple for longer. It is a thick cream that smells really soothing. It'll be really a relief to women who feel nauseatic due to offensive medicinal smell during maternity. 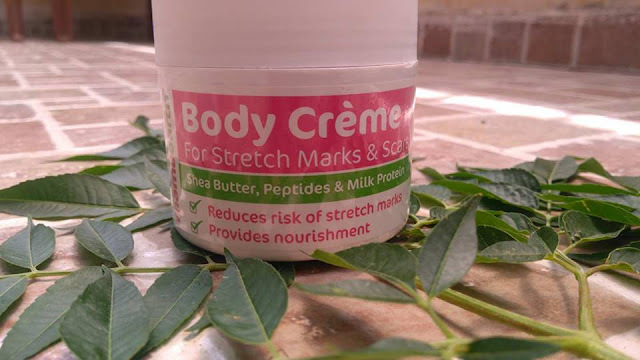 The product works equally good on marks at stomach area, thighs, upper arms, breasts or buttocks. Being on heavier consistency, it would need rubbing little more for proper absorption. The skin may feel lightly greasy for a second but is not intolerable. It takes few moments to sink in. The product starts fading the color of the shallow/recent marks gradually while smoothing out the skin texture if followed an AM/PM routine religiously over a period of few weeks. But for marks existing since long, it would take around 8-12 weeks to blend away the marks and make those least noticable. Other plant based ingredients like Cucumber Extract and Papaya Extract detoxify the skin that is an additional perk. Plant based Palmitoyl Tripeptides help to improve skin’s elasticity and make it non-itchy. 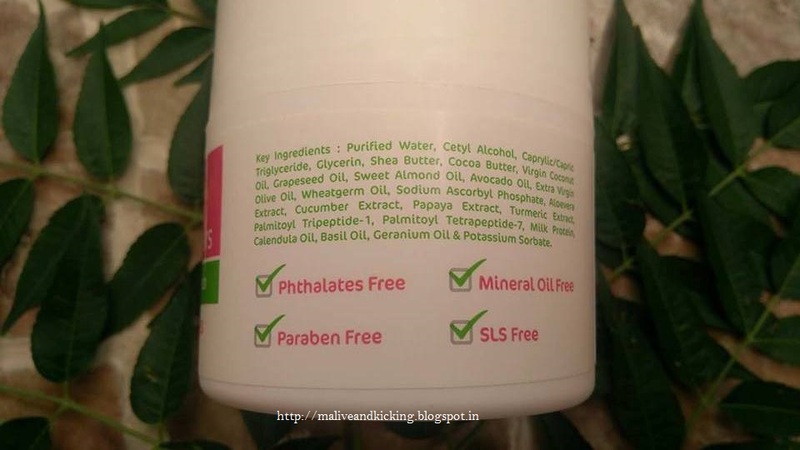 All this comes for a reasonable price tag of INR 500 to own a big jar of 100 ml. 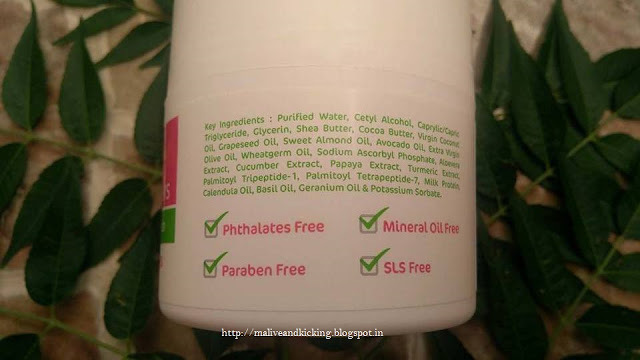 The product is not just free of parabens, mineral oil, artificial colors and dyes, but is backed by MadeSafe certification provided after clinical researches. 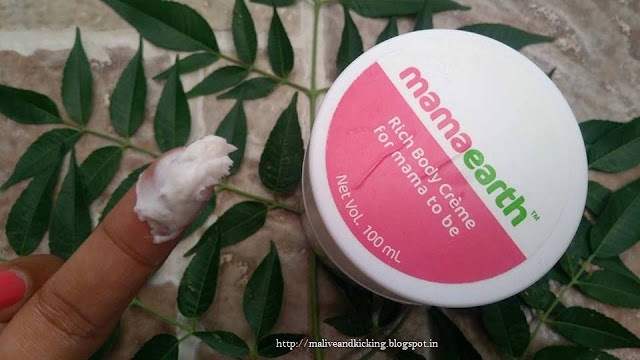 To sum up, MamaEarth Body Crème is a recommended pick for women who are hunting for a preventive or curative stretch mark cream plus want to shop responsibly within budget. Wonder if this can cure existing stretch marks ?